Hello everyone, me and IamTIMMEHHH are working on the second cool map called Bayern. Currently we have no backstory but this map is going to be easier at start and gets more difficult at later rounds. This map has two custom zombies and a zombie boss called Lord Jashin. Lord Jashin is an very aggresive zombie that dislikes others of his kind. He puts them on fire and when you are killing zombies they will explode just like the lord himself. Besides that he is a bomber he can also disable vending machines and set you on fire when you are close enough. Baron Samedi's Rum: Turn into a zombie when your health reach below zero, in that form you have to kill zombies and collect brains to turn back into a human. If you are too late, haven't killed enough zombies or didn't collect enough brains you will go into laststand. Rewind Time Barcardi: Get tatical insertion as item. You can press the killstreak button to use it to create a respawn point. If you are about to get killed instead of going into laststand mode you will teleport to the item for safety. Carpenter Rum (TBD if it is going to be introduced in the map): Instant repair windows. Does someone has a idea how I can fix this problem? 2400 Image error, double image loading and Ignores my Ignore file. I am hard trying to fix this issue but can't get out of it! I made a ignore file to ignore these files but somehow they still turnup in my mod. I also have some files from _patch 'es I don't want to use, is there a way to use turn some of them off? I know deleting images doesn't work but I was hoping it would work if I delete them from a IWD file. I want to thank you for the time and help! I btw choose not to use T4M this time there has to be another way. Now I don't see a good tutorial about how to make a custom perk so I decide to create one myself. This is the tutorial where I am going to explain you every step have to make a custom perk. This is only the basics and I am going to add examples of perks I already made later at the bottom of this topic! Before you start you have to choose a specialty from this list, remember that you shouldn't use one that's already being used in Call of Duty! These are free and can be used! specialty is like a key you can use to make a custom perk, without the key the perk can't be activated so be warned. 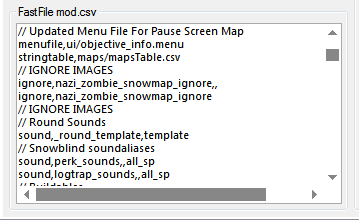 Now go to your rootfolder\raw\maps and copy paste _zombiemode_perks to your mod, if you already have this file you don't need to copy it. this is where all the items and shaders (perk) are going to be introduced! // Example, add your own custom perk price here! // Your key should be in here between the ""
case "specialty_fireproof": // Custom Key here between the ""
perk_hud_create( perk ) I am going to tell about this later but I think you understand what's going on here. weapon = "zombie_perk_bottle_jugg"; // This is the bottle you will get if you drink the custom perk! You are done! Now you have a custom perk! Credits to Death_reaper0 and MakeCents for their knowledge and explanation. This topic is not finished and it's going to be updated later! CO-OP hintstrings won't update after power turned on, Solo works fine! Does someone how to fix this? Over 400fx without a reason. Please I need help! Somehow I over the 400fx limit and I don't even understand what's going on. As you can see here I am under the 400fx. Can someone please tell me how I am over the limit? For sure I copy pasted all the files with including fx and collored the ones I think are fx orange. //include,flamethrower includes fx and isn't needed for my map. // player zombie melee arms - the "weapon"
Hello everyone I have a question. Is it possible to add Banzai attacks into my custom made zombie map? I am searching and testing things out but still not making progress. Does someone know how to add banzai? Hey everyone, me and IamTIMMEHHH are working on a cool map called Snowblind. The map is not dead yet we are still making this mod! Guys I have a new problem and my head is just hurting. I am having this error. Tried commenting the precachemodels but still having this problem. Plz I need help! the texture is included in IWD file. I want zombies to go no-clipmode! I got it fixed for myself! Furtrelock (t4m needed!) 16 Perks! First of all you need the T4M file in your cod map. It's included in the file but if there are any updates you can check here! Furtrelock: created by Gympie5 --- T4M Needed!! if I forgot to credit you make sure to send me a pm and I will update this list! - Flak Jacket: All player health is increased to 550 for 30 seconds. - Infinite Ammo: Shoot infinite bullets until time is up. if the reviver revives a player the player will get free 1500 points! 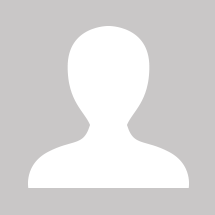 - Chainbind: Be able to stun zombies with your knife or have 8% chance to stun them with a weapon. The perk will glow red to the maximum. - Gambling Gargoyle: Spend 1250 points every 30 seconds on items. Becarefull you lose 50 points per second to a maximum of 1500 points. If the player spend all his points while the perk is still removing points it stops and starts again after 30 seconds. Everytime you get 1250 points the perk will glow yellow for a second and blinks. - Repair Rum: Instant building barricades. - DemolitiBeer: 3x stronger explosion damage. If the map has some minor bugs/glitches please send a pm to me and I will try to fix them as soon as possible! (There is a possibility the map gets more features and I will make you sure it's the same link). I know Vulture Aid Does not work well in Co-op. Enjoy the mod and any feedback is always welcome! I followed every step in the UGX mod... I want to play a number and it plays and stops.. It looks like he can't find music... this is the link to the page where I get this information from. http://ugx-mods.com/wiki/index.php?title=UGX_Jukebox_Guide#Installation I hope someone from here can help me.